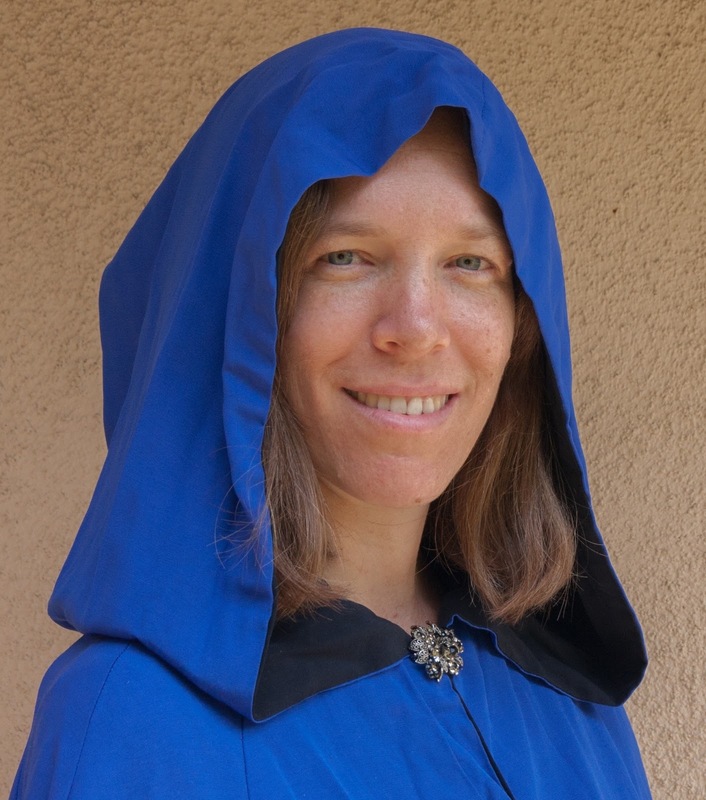 Welcome to the final installment of this particular batch of Worldbuilders, a series of guest posts and interviews by my fellow authors of Christian speculative fiction. I hope to do this again in the near future. It’s been great fun! Today’s interview is with Annie Douglass Lima. 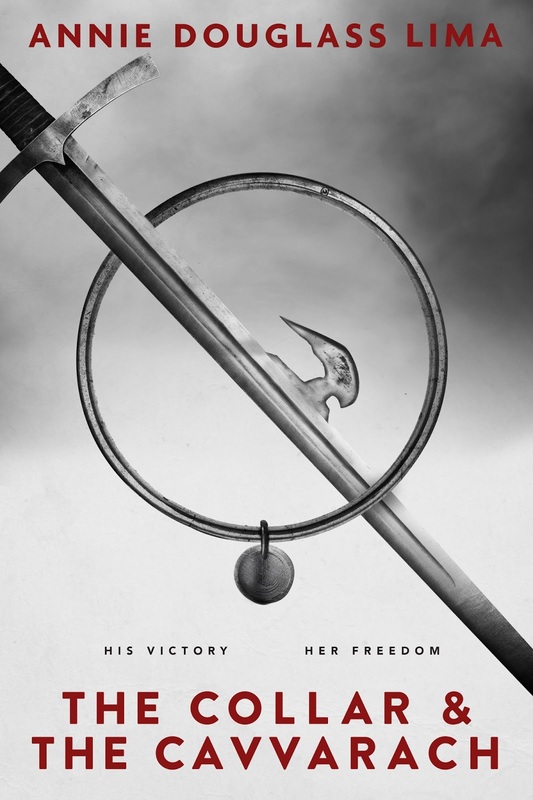 We are happy to be joining the blog tour for her brand new book, The Gladiator and the Guard, the sequel to her YA action and adventure novel, The Collar and the Cavvarach. Tony: Well, to be fair, Starbucks’ coffee doesn’t even make a cup of coffee close to what I enjoy at home – and I use their brand! Before we get into your books, tell us a little about yourself. You mentioned that you were raised in Kenya. How did your childhood affect your writing? Annie: I grew up in Kenya, where I lived from age 3 to 17. My family has never had a television, nor did we want one, and I spent my childhood immersed in books. That instilled in me a love of reading, which soon turned into a love of writing. That love has never left, and I have never regretted not owning a TV (my husband and I still don’t). Tony: And where does Annie the author find herself these days? Annie: My husband and I live in Taiwan, where I teach 5th grade in a missionary school. We attend a bilingual (Chinese/English) church and very much enjoy life here. Though I love my job, I must admit I wish it left me with more time for writing. In the evenings my brain is often so fried after a long day that I just can’t get much done, so most of my writing happens on weekends. But one thing I really enjoy is the fact that my students are at the right age (though at the younger end of the spectrum) to enjoy what I write. I read one or two of my books aloud to my class every year, and their feedback helps me polish and improve them. It’s really helped me see what kinds of scenes and characters appeal to readers of that age. Tony: You know, I’ve found that to be very helpful myself. Some of the best scenes in my books were inspired by my own children. And they’re always – dare I say heartlessly – honest about what they do and don’t like in my books! Tell us about working with any other people who help you create your books. Do you use Beta readers? Hire an editor or proofreader? How do you get your covers? Annie: I do use beta readers, most of whom I’ve found through my online writing groups. They have been very helpful! My grandpa is my best editor and proofreader; he knows more about the English language than anyone else I know. And my covers are made by Jack Lin, an artist who graduated from Morrison Academy, where I teach. You can see more of his art at http://jacklindesign.com. Tony: What is your favorite speculation fiction book or movie? Annie: I love the Tales of Goldstone Wood series by Anne Elisabeth Stengl. She has created an incredibly rich and detailed world. Some of her stories take place at the same time but to different characters (with some connections between them); others take place thousands of years apart. But they all combine to give a vivid and seamless picture of the world and its history. In terms of movies, I like a lot of individual movies and series: Lord of the Rings, Star Wars, Chronicles of Narnia, Willow, Inkheart. Tony: What’s the worst trouble you ever had with getting a book written? Annie: Well, I did struggle a lot with the research needed for The Collar and the Cavvarach. The main character needed to be skilled in a challenging martial art, and I wanted it to be a combination of two or three different fighting styles, involving elements of unarmed combat as well as the use of a weapon. It took a few false starts before I had a fighting style I liked. At first I just pictured using a sword, but I wanted something a little less stereotypical. The cavvarach, with its hook, ended up being just right for what I had in mind. Combatants try to snag their opponent’s hook to tug the weapon out of the other person’s hand, which is one way to win a duel. (They can also knock it away with their own cavvarach, or kick it away.) Besides disarming an opponent, you can win by knocking them over and pinning their shoulders to the mat for five seconds. Although it is imaginary, creating cavvara shil (and the necessary training and practice for it, as well as rules of the tournaments) took a LOT of research. This was especially challenging because I am not an athlete myself, so it was all the more difficult to make sure this martial art was feasible and would make sense to readers who practice “real” martial arts. I spent hours researching online and in books, as well as talking to athletes I know, and I’ve been told that the end result in the book is believable and realistic. Whew! Tony: Sounds like you really make the effort to develop your world. So let’s just get to it: Tell us about your newest book. Make us want to read it. Annie: The Gladiator and the Guard is the second book in the Krillonian Chronicles, the first one being The Collar and the Cavvarach. The stories take place in a world almost exactly like our own. Although most aspects of the culture are just about what they are currently on Earth, a few sports are different, such as the martial art known as cavvara shil. The main difference, however, is that slavery is legal there. The Krillonian Empire rules much of the world. An emperor, who is never named, governs from the capital city, Krillonia, on the continent known as Imperia. Eight separate provinces (independent nations before they were conquered) can be found on nearby continents. Each province, plus Imperia, is allowed to elect its own legislature and decide on many of its own laws, but the emperor reserves the right to veto any of them and make changes as he sees fit. This seldom happens, however, and to most people the emperor is merely a vague and distant ceremonial figure. Tony: Tell us about one of the characters in your book. What about them appeals to you? Are they anything like you? Why are they important to the plot? Annie: The character of Boris Sweet, a guard at the gladiatorial arena where Bensin ends up, was fun to create. Boris is uncouth; he smokes, drinks, sports a beer belly, refuses to eat vegetables, and says all sorts of things that are completely inappropriate for polite society (but don’t worry, the only foul language consists of words I made up). Most of the time he thinks only of himself and what he wants, and he doesn’t care who he offends on his way to get it. I certainly hope that he is nothing like me! And yet Steene (Bensin’s coach and former owner) realizes that Boris is probably his only hope for rescuing Bensin. Tony: What’s your next project? Tell us so we can’t wait for it to come out! Annie: I have a few different projects in process. There will probably be one more book in this series, though I’m tossing around ideas that may eventually lead to other stories set in the same world. In the meantime, I’m working on a final book in my Annals of Alasia fantasy series, called King of Malorn, which should be ready to publish in the next few months. I also have a science fiction novel that I drafted for last year’s NaNoWriMo (National Novel Writing Month, in November). I hope to have that one polished and ready for publication in another year or so. Lots of irons in the fire! Tony: Where can we buy your books? How can fans connect with you? Annie: All my books are available through my Amazon Author Page at http://bit.ly/AnnieDouglassLimaOnAmazon. Thanks so much for the interview and for featuring The Gladiator and the Guard! I hope your readers enjoy hearing about it.